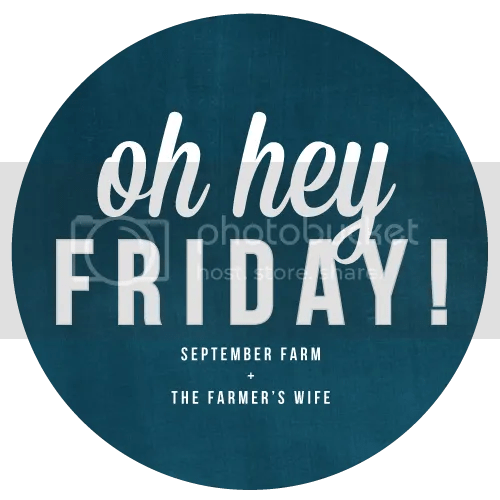 April 21, 2017 by Sheridan Johnson4 Comments on Hey, Friday! Oh how I needed you! So we have finished another week, and Friday has come once again! Every week I try to savor every single moment with each one of my kids, but it seems like time just passes and it’s gone! So I wanted to do a little five this Friday recap of how this week went! 1. ) I surprised all my kids on Monday (since they were all off of school) and met my parents at Palmetto State Park (in Luling, Tx) for a picnic at the park and some outdoor fun so that we wouldn’t be cooped up all day, and it was a huge hit for my kids! My parents brought the food and drinks, and the kids thoroughly enjoyed playing (for the most part, before we got rained out) and we will definitely be going back soon before it gets too hot! 2.) We did “family fishing” with myself and Shane and all the kids (or majority of them anyway. I think my mom had baby girl both times) twice this week! This kids LOVED having mommy there.. because majority of the time I am at home with the “littles” as we call them (so that I can be cooking dinner, cleaning house, and making sure all night time stuff is ready)so they just adored showing me all of their fishing skills and catching a lot of fish! 3.) We had our monthly visit with CPS and it went as expected.. we have some issues going on with a couple of our children in our house that needed to be addressed, so we will see what actually comes from it. Other than that, we are SO thankful my parents stayed to help with the kids and entertain them during the visit since there was so much to talk about! 4.) I decided it was a good idea (when I made the appointment) to take all of my boys to dentist on the same day (since the location is over an hour away), and I booked the earliest appointment possible, which was 8am. Remind me to never do that again, my body naturally woke up at 445am since I was panicked that I was going to miss my alarms an get there late, so it truly made for a long day! My 3 year old didn’t have any cavities, my 6 year old needs to have 3 teeth removed on May 12 (due to abcess that could eventually lead to an infected tooth later on) and we are not looking forward to that! And I was told I have to get a consent signed (foster care regulations) before he can have any form of sedation! Very interesting to know. My 8 year old doesn’t have great teeth either, and he had to get 1 cavity filled that morning after all the cleanings were done and he did great! I can definitely wait 6 months to do this all again, for sure! (So thankful my Step-Dad came and helped me). 5.) I took the kids on my one day off (the four littles) on an impromptu trip to the zoo in Victoria, Tx and the kids had a blast! No crowds, all animals were awake an roaming around, and they even got chased by some birds (which was so hilarious to watch) and I think it was the best thing we needed after I changed 3 poopy diapers before 9am, I was like “we are getting out of here”! I got some great shots of the animals as well (between coordinating 4 kids and trying to hold a nice camera, I am surprised I got any at all! Bonus: We are spending this weekend at Nana and Papa’s!! Shane is going on a fishing trip with the boys and I very rarely get to spend time with my parents (they spend a lot of time helping me with the kids, but it’s just not the same) and I am so happy that I get to do that! I am looking forward to some garage sales, nap times, great food, and better yet.. no cleaning (ok I still do that at their house, but you know what I mean..)! Hope everyone has a great weekend, and I hope to see you all soon again (rather than later.. with 6 kids, it might just be later). 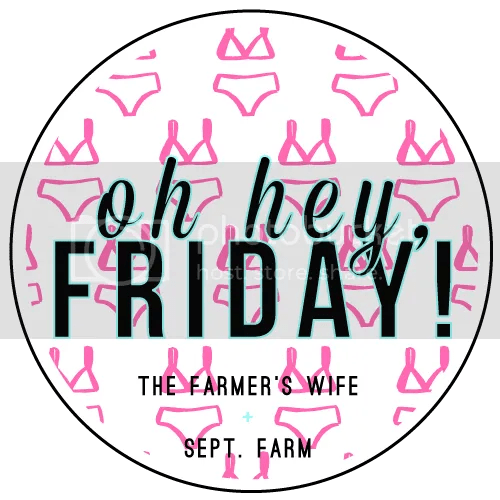 I am linking up with Karli who blogs on over at Sept. Farm and I would love for y’all to stop on by and show her some love! September 30, 2016 October 1, 2016 by Sheridan Johnson1 Comment on My top 5 from September! Baby girl celebrated 2 months with the Johnsons— I seriously love this because we didn’t know where we would be after the hearing and Shane and I are beyond happy to be able to spend each and every day with her! The 60 day hearing–SUCH an important day!–This day was so important and I am beyond glad that I was able to go! The day we found we had to say our goodbyes!— Such an unexpected detour in our journey with little man, but we truly hope that it’s for the better! The day I turned 28! Seriously?–So crazy to think that I am 28 already and I am really hoping this year is one for the books! My tips on raising 3 kids ages 3 and under!–I can’t believe that I survived it and I wrote a blog to help all you mamas out there!! Would love to hear extra input as well! I hope you all have a great weekend and a great FIRST day of October! Let’s face it, when it comes to taking photos of your kids, you have very limited time. So today, I’ll be sharing with you, five ways to help you get great pictures of your kids/family, in 30 minutes. Have a theme- you must choose a color scheme and stick with it. Some people can pull off all different colors and make it work, but it really is hard for the camera to focus on different shades. Our theme was red, white, and blue. The time of day-bright daylight is almost the worst lighting you can imagine (unless you really know how to configure the settings on your DSLR camera, or you know how to edit the pictures really well when using your phone). Sunset is best, and it works well with a lot of different colors. Happy kids, happy picture-make sure everyone is fed and generally happy (you don’t want to start the photo shoot out with wiping away snot/tears)! Distraction is a great technique when it comes to this one. Never forget to just HAVE FUN! Have all of your props/decorations (if you are using any) ready to use, and able to pull out for a quick shot or two. It’s great to have a helper as well, to provide you the props or equipment when you need it. Keep it moving- if you are wanting the perfect picture with the kids showing how much they love each other, well that might not always work in front of the lens. If you don’t get a great shot the first time, try again about 10 minutes later. Kids are resilient and will usually do it on their own terms. Here are some shots I took of all three kids (two are foster children and we are not allowed to post their face on the photos, so they are blurred out) before having to say goodbye to our little man, before he went back home with his family. Hope you enjoy them as much as I do! Let me know if you have any other tips you would like to provide as well! Happy picture taking!